In Russian city of Novocherkassk (Rostov region) near the border with Ukraine, a column of military equipment was spotted. The video featuring military column was posted on Facebook by Daniel Rodriguez. 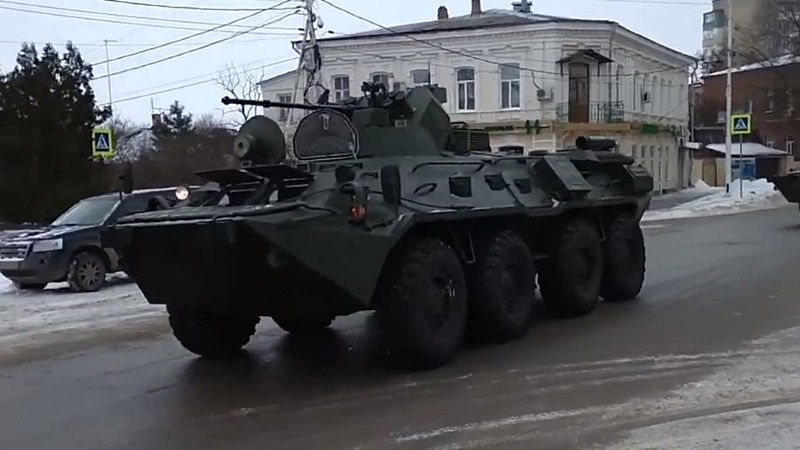 “Russia, Novocherkassk, 45 km to the border with Ukraine and the territories occupied by the Russian Federation, a column of military equipment. I’d like to remind that the headquarters of terrorist enclaves are located in this city," reads the message.